Sorry guys, newbie question. I added several regions together using the "union" command. My question is, how do I remove a region after I have unioned it? Ah, sorry if I was unclear about what I wanted. I drew a basic floor plan and used the Boundary/Region/Extrude commands. After I extruded the walls, I unioned them all together to get rid of the seams at the various wall points. Whenever I try to add a texture to a section of wall (living room for example), the entire wall section of the house changes to the same texture. I'm trying to figure out how to not physically delete objects from a union, but to remove them from the grouping property of the union command. I can't believe ReMark suggested Explode to someone who doesn't know 3D inside and out (and if you did, you wouldn't use Explode). Post a simple example if you can't figure it out. I tried using the solidedit command but could not figure it out. I'll try and post the example pictures that I have. The first pic is the general floor plan. The second one is the obvious selection whenever I select any part of the wall. I am not familiar with editing pictures in AutoCAD - I meant post a dwg file (pared down if needed to file size limit). In your pretty picture I do not see anything to imprint to split the faces. You might want to check Help on Imprint or go through the tutorials in my signature. Actually looking at your picture again, unless you want to apply multiple textures to one face you should not need to use imprint to split the faces. You should be able to use the painter to apply to individual faces rather than the entire solid. JD: Thanks for the input. However, since I am a novice at the program, I cannot seem to find the "painter" tool in the program. Would it be hidden under the Render or Draw tab in the ribbon somewhere? I cannot seem to find the "painter" tool in the program. I am using the incorrect terminology - I seldom use AutoCAD anymore. Someone else will come along and set you in the right direction. I suggested Explode because at first I thought the OP was working with simple 2D regions. "Imprints 2D geometry on a 3D solid or surface, creating additional edges on planar faces." JDM: Were you perhaps referring to the Color Faces command? Select a 3D solid or surface: Select your solid; that would be your wall. Select an object to imprint: This would be a retangle, for example, that you have drawn on your wall. Delete the source object [Yes/No] : The default is "No". Not sure why. Maybe AutoCAD expects the user to repeat the command using the same object elsewhere. At this point AutoCAD will "imprint" (think of it as "stamping") your wall with the shape of the rectangle. 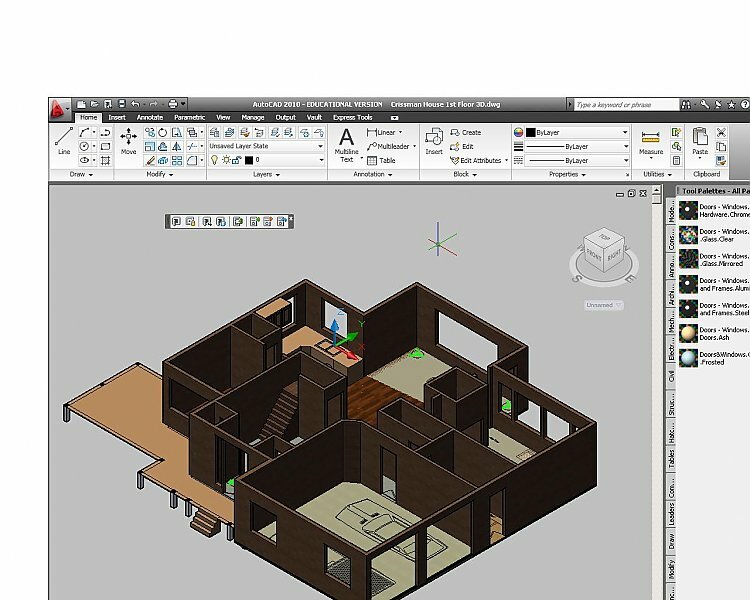 Select an object to imprint: AutoCAD continues to repeat the command. Press Esc to cancel. Now you can color a face or apply materials to two or more sections of one wall even if in your case that wall wraps the entire house inside and out. This is what you'll get if the object you are imprinting is not on the solid wall (where AutoCAD expects it to be). The selected object must intersect the faces of the solid. No - I assumed the OP was looking for something more sophisticated by applying material textures. I just switched over to 2011 and couldn't get it to work as I remembered or get Help to give me any help. I often get flack because I almost always request a file. My experience has taught me not to assume the OP is able to correctly describe the problem statement. It seems logical to me that since we are dealing with a geometric form of communication that it should be obvious to ALWAYS include a file. I can't figure out what the purpose is of learning a CAD program to communicate and then ignoring the obvious - use the CAD file to communicate. 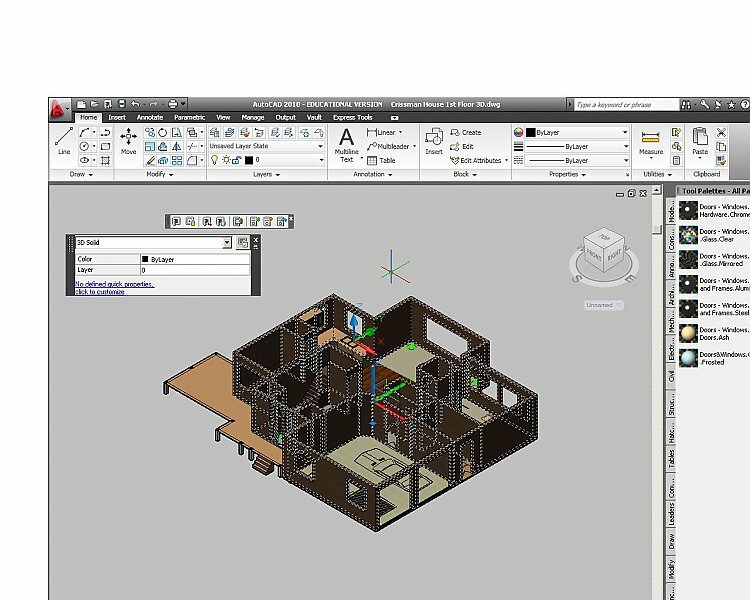 "I can't figure out what the purpose is of learning a CAD program to communicate and then ignoring the obvious - use the CAD file to communicate." A point that cannot be made strongly enough. I agree wholeheartedly. Re: Color faces. I was trying to make sense of the OP's reference to "painting" an object. I have no use for materials although I use the Color Faces command from time to time. It was the only thing I could think of. I need to get out and start experimenting with applying materials. Im not sure if this seems too simplistic, but I would just copy the face of the wall I wanted and extrude the resulting face .1 mm, creating a new solid and apply the texture to that. The original solid would be the skeleton, and all resulting faces copied and extruded would have the material properties I was after applied to them. If I wanted two or three different textures per face I would just divide up the new face as required. Is this too primitive a method?